Every year I rank the simulcasts from the Metropolitan Opera. This year, following my own personal tradition, I missed only Puccini's Madama Butterfly. The buzz for this was quite good, but I cannot rank it. First I will characterize each opera, and then I will rank them. Verdi's Il Trovatore with Anna Netrebko and Dmitri Hvorostovsky may possibly be the greatest Trovatore in my personal experience. More cannot be asked. Verdi's Otello with Aleksandrs Antonenko was far from being my best for this opera. It didn't top the previous Met simulcast with Botha and Fleming. Antonenko sings the role well, but his portrayal begins hard and unpleasant, dulling the effect of Iago's influence. Wagner's Tannhäuser with Johan Botha, Eva-Maria Westbroek and Peter Mattei was a wonderful experience. Westbroek was especially affecting. Berg's Lulu was up to the very high Met standards but avoided originality in interpretation in favor of a production that focused strictly on visual effects. The musical standards were impressive, but best Lulu award for the year must go to West Edge Opera. Bizet's The Pearl Fishers with Matthew Polenzani and Mariusz Kwiecien created a male duo made in heaven. This was a truly excellent Pearl Fishers which led one to wonder why we don't see it more often. Puccini's Turandot with Nina Stemme was uneven across the cast with the least interesting Calaf I may ever have heard. Besides, I hated Nina's makeup. Puccini's Manon Lescaut with Kristine Opolais and Roberto Alagna was lovely. After seeing versions of this with Kristine and Jonas Kaufmann from London and Munich, it was good to hear Roberto's very different energy. The production was iffy at best, but Fabio Luisi was the best. 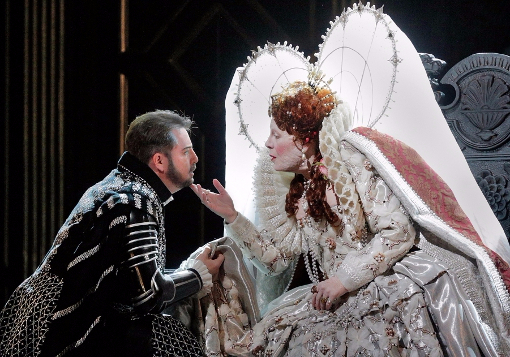 The marriage of Donizetti's Roberto Devereux with Sondra Radvanovsky's voice turned out to be prescient. It was overwhelming. Strauss's Elektra with Nina Stemme was unrelentingly heavy. It's supposed to be. I think I might have liked a little more pacing, a little less relentlessness. There were no out and out bombs, but then the Met doesn't really do that. What would I buy if there were DVDs? Probably Roberto Devereux and The Pearl Fishers.